As you might noticed in the news a global security vulnerability was found in the WPA2 standard, a few days ago. This failure in the WPA2 connection set-up allows an attacker to intercept the connection set-up and afterwards read the data traffic or to inject data into the active connection.. 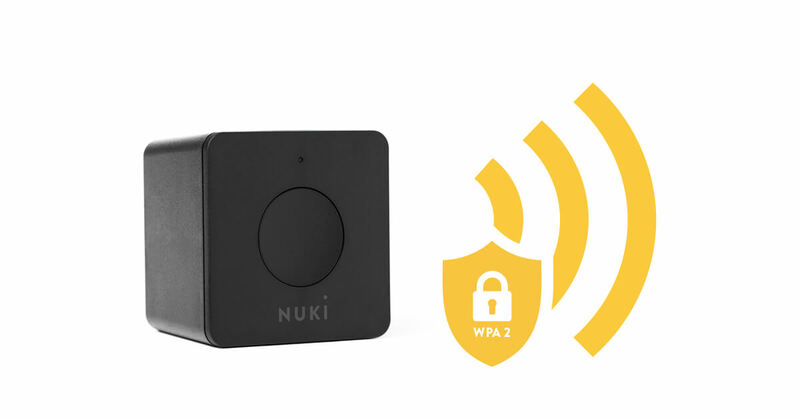 However, since the connection of the Nuki Smart Lock to the Nuki Bridge and its connection to the server is completely end-to-end encrypted, this problem does not pose any threat to you and your Smart Lock. For us, the security of your home is of eminent importance. Even though our very complex security concept does not lead to a direct danger, we have immediately taken the initiative to stop this danger as quickly as possible! This security update was released on Wednesday and installed in the background on your Nuki Bridge. Furthermore, we have doubled the speed of Bluetooth transmission between your Smart Lock and Bridge. This speeds up all commands, e.g. retrieving the status or opening your door from a distance. However, this speed boost is particularly important for data-intensive actions. So the loading of the activity log now takes only about 5 seconds, instead of the previous 10 seconds. In addition, we were able to further improve the stability of your wifi connection with this update.